The Quill – A love for the unknown. A passion to learn. An eye to observe, another to understand. A love for the unknown. A passion to learn. An eye to observe, another to understand. A few months back, I came across this wonderful community of bloggers called the Swimmers. Novus Lectio hosts these prompts and community engagement platforms that help bloggers get to know each other better. 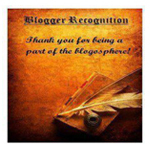 The blog-sphere is full of these wonderful communities, and it’s essential to the spirit of blogging that all of these flourish. They’re all unique, after all. So that’s why I’d like to ask for help from you guys, to help keep Swimmers alive and buzzing. Pay a visit, or rather, take a swim. And do keep going back. With summer coming (in a few months here, at least), surely swims are more than welcome. This is in response to the nomination by Ket at Cynical Souls. I promised him I’d get to writing posts for these and well, here I am. Ket is a warm, loving individual who knows and understands the value of the people in his life, being a priceless soul himself. Do check out his blog, it will leave you with a smile. Back when I was a school girl, a classmate wore a beautiful black dress to school on her birthday. However, our teacher pointed out that it wasn’t particularly auspicious to don black on a happy day like the day one was born on. My teacher had good intentions – of that I have no doubt. Even back then, I was in love with everything and everyone who stood out – those enviably free souls who galumphed when all around them wanted nothing but to sit and sleep. So it’s understandable that what I heard that day made me reflect in length about why black wasn’t loved more. I suppose it’s a cultural thing, or perhaps it’s evolutionary. White is something pure, innocent and auspicious. And black represents all that we tend to avoid. Most of us love new beginnings, which must explain the mass enthusiasm over the calendar change, each year. And why not? We all wish to be a better version of ourselves wherever we’re concerned, and that’s quite natural. New Year resolutions are the perfect excuse because it’s marketed best. I love anything that comes a yard near to ‘new beginnings’. The thought of a fresher, better tomorrow, a rebirth of sorts, is so appealing especially when one has made so many mistakes. Dante at Dialectics is a writer who can captivate you with the style and content of his posts, an invitation to the intriguing person that he is. Do drop by for that wonderful adventure. This is in response to Dante’s Liebster Award 2018, wherein he has posed a number of thought-provoking questions. However, instead of listing the questions and answering them at once, I thought of fleshing out a whole blog post in response to each, a prompt of sorts. Childhood is always glorified as being the formative years, the simplest periods of our lives when we carry the least burdens. But then, generalization is the death of reality sometimes. You would be going about your day’s work, sometimes absentmindedly worrying about everything that’s left to do, or about some problem that has been haggling at you for long. Perhaps, and often it happens this way, you may not be thinking of these at all. You were simply immersed in the moment, doing what you wanted, thinking of nothing else. Or maybe an innocent question popped up, that might have answered every question you ever had. And then, somehow, you saw or read or heard something that did precisely that. It’s so magical, and it fills me with so much wonder when that happens. Just a moment in a multitude of moments – yet it held a beautiful rapture that showed everything in a different light. We are a species that’s so obsessed with giving the right terms and classifications to everything and everyone. And yet, as nature so often does, exceptions abound. We let ourselves be socially programmed to believe we can only build genuine relationships with other human beings, and that there needs to be certain criteria to be fulfilled if it is to even be considered one. Somehow as you walked bravely through life, dusting yourself off after every fall, that little seed sprouted in the darkness and quietly grew, feeding on fears and irrational beliefs. When we really think of it, so many of our behavioral issues arise from our insecurities. We try to establish our dominion over another because we fear they may usurp whatever power we have at present. We desperately shut down that critical voice because sometimes it just sounds too truthful for our liking. Many a time, we blame the environment for causing negativity within, and sometimes this is true. But what if there’s a part of us that we have to deal with? Many thanks to Gina at Singledust for nominating me – I do love a challenge, especially one that involves something as divine as music. 1. Thank the person who nominated you. Thank you once again, Gina. I nominate Devoted and Divorced. Though I’m not familiar with the tracks you write of (haven’t got the opportunity to try them out yet) I do admire your posts and your resilience. Hope you can participate! When I first heard this song, I had shivers up my spine. The whole movie was incredibly beautiful (a given, I suppose, when you say the word ‘Disney’). Not only did it introduce me to a beautiful culture, it also had the powerful message of being brave enough to follow your dreams, even if sometimes you may have to go a little ‘beyond the reef’. I nominate Themoonlightreverie. You already know I love the way you portray emotions, I’m guessing you might have a great taste in music as well. When I was setting out on my journey to learn Spanish (an ongoing journey, of course) I knew I had to find ways to learn more words. To imprint the language in my head and to develop a certain friendship with it. I’d read, listen and practice but then the best way to learn any language would of course be to sing in it. And so I went searching.